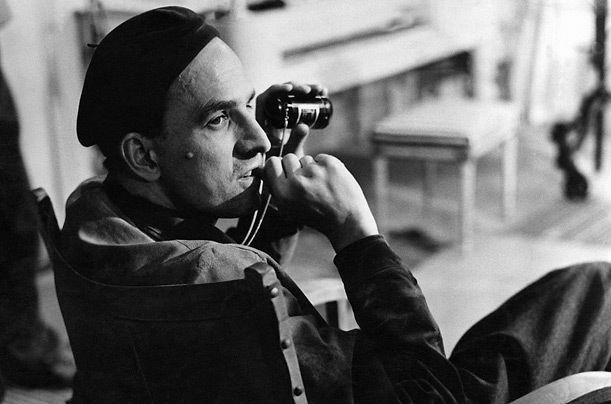 Today is the birthday (1918) of Ernst Ingmar Bergman, a Swedish director, writer, and producer who worked in film, television, theatre and radio, and considered to be among the most accomplished and influential filmmakers of all time. 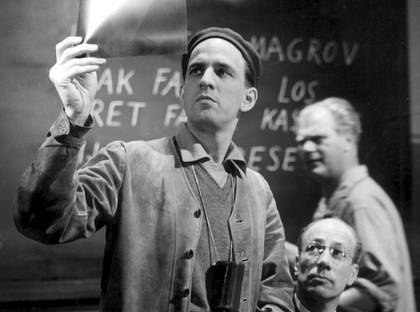 Bergman directed over 60 films and documentaries for cinematic release and for television, most of which he also wrote. He also directed over 170 plays. From 1953, he forged a powerful creative partnership with his full-time cinematographer Sven Nykvist. Among his company of actors were Harriet and Bibi Andersson, Liv Ullmann, Gunnar Björnstrand, Erland Josephson, Ingrid Thulin and Max von Sydow. Most of his films were set in Sweden, and numerous films from Through a Glass Darkly (1961) onward were filmed on the island of Fårö. His work often deals with death, illness, faith, betrayal, bleakness and insanity. While father preached away in the pulpit and the congregation prayed, sang, or listened I devoted my interest to the church’s mysterious world of low arches, thick walls, the smell of eternity, the coloured sunlight quivering above the strangest vegetation of medieval paintings and carved figures on ceilings and walls. There was everything that one’s imagination could desire—angels, saints, dragons, prophets, devils, humans. 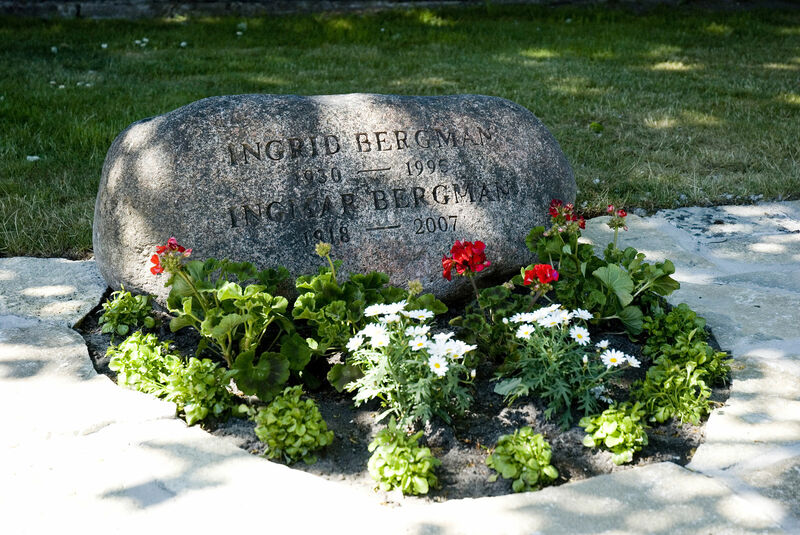 Alth­­­ough raised in a devout Lutheran household, Bergman later stated that he lost his faith when aged 8, and only came to terms with this fact while making Winter Light in 1962. His interest in theater and film began early. At the age of nine, he traded a set of tin soldiers for a magic lantern, a possession, he claimed, altered the course of his life. Within a year, he had created a private world in which he felt completely at home, he recalled. He fashioned his own scenery, marionettes, and lighting effects and gave puppet productions of Strindberg plays in which he spoke all the parts. Bergman attended Palmgren’s School as a teenager. His school years were unhappy, and he remembered them unfavorably in later years. In a 1944 letter concerning the film Torment (sometimes known as Frenzy), which sparked debate on the condition of Swedish high schools (and which Bergman had written), the school’s principal Henning Håkanson wrote, among other things, that Bergman had been a “problem child”. Bergman wrote in a response that he had strongly disliked the emphasis on homework and testing in his formal schooling. 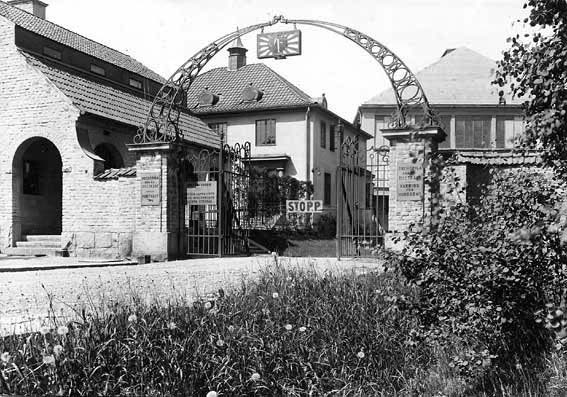 In 1934, aged 16, Bergman was sent to Germany to spend the summer holidays with family friends. He attended a Nazi rally in Weimar at which he saw Adolf Hitler. He later wrote in Laterna Magica, about the visit to Germany, describing how the German family had put a portrait of Hitler on the wall by his bed, and that “for many years, I was on Hitler’s side, delighted by his success and saddened by his defeats”. Bergman commented that “Hitler was unbelievably charismatic. He electrified the crowd. … The Nazism I had seen seemed fun and youthful”. Bergman did two five-month stretches in Sweden of mandatory military service. He entered Stockholm University College (later renamed Stockholm University) in 1937, to study art and literature. He spent most of his time involved in student theatre and became a “genuine movie addict”. Although he did not graduate, he wrote a number of plays and an opera, and became an assistant director at a theatre. In 1942, he was given the opportunity to direct one of his own scripts, Caspar’s Death. The play was seen by members of Svensk Filmindustri, which then offered Bergman a position working on scripts. Bergman’s film career began in 1941 with his work rewriting scripts, but his first major accomplishment was in 1944 when he wrote the screenplay for Torment (Hets), a film directed by Alf Sjöberg. Along with writing the screenplay, he was also appointed assistant director of the film. 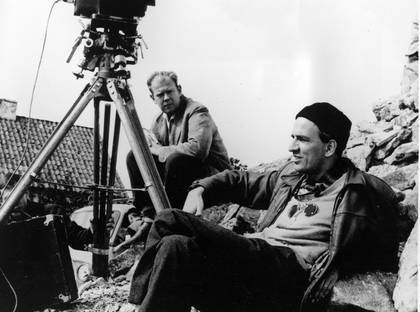 In his second autobiographical book, Images: My Life in Film, Bergman describes the filming of the exteriors as his actual film directorial debut. The film sparked debate on Swedish formal education. When Henning Håkanson (the principal of the high school Bergman had attended) wrote a letter following the film’s release, Bergman, according to scholar Frank Gado, disparaged in a response what he viewed as Håkanson’s implication that students “who did not fit some arbitrary prescription of worthiness deserved the system’s cruel neglect”. Bergman also stated in the letter that he “hated school as a principle, as a system and as an institution. 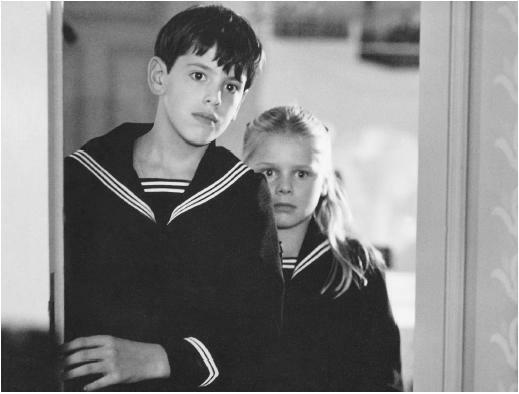 And as such I have definitely not wanted to criticize my own school, but all schools.” The international success of this film led to Bergman’s first opportunity to direct a year later. During the next ten years he wrote and directed more than a dozen films, including Prison (Fängelse) in 1949, as well as Sawdust and Tinsel (Gycklarnas afton) and Summer with Monika (Sommaren med Monika), both from 1953. 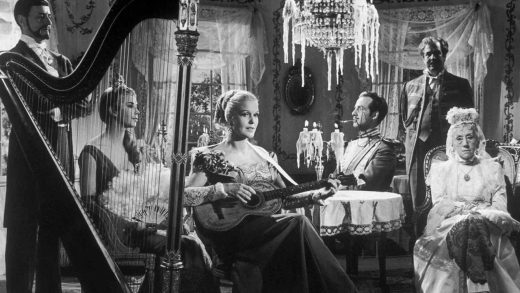 Bergman first achieved worldwide success with Smiles of a Summer Night (Sommarnattens leende) (1955), which won for “Best poetic humour” and was nominated for the Palme d’Or at Cannes the following year. This was followed by The Seventh Seal (Det sjunde inseglet) and Wild Strawberries (Smultronstället), released in Sweden ten months apart in 1957. The Seventh Seal won a special jury prize and was nominated for the Palme d’Or at Cannes, and Wild Strawberries won numerous awards for Bergman and its star, Victor Sjöström. Bergman continued to be productive for the next two decades. From the early 1960s, he spent much of his life on the island of Fårö, where he made several films. 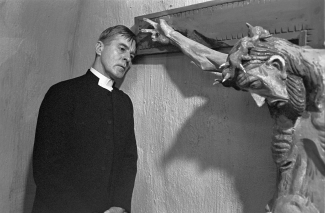 In the early 1960s he directed three films that explored the theme of faith and doubt in God, Through a Glass Darkly (Såsom i en Spegel, 1961), Winter Light (Nattvardsgästerna, 1962), and The Silence (Tystnaden, 1963). Critics created the notion that the common themes in these three films made them a trilogy or cinematic triptych. Bergman initially responded that he did not plan these three films as a trilogy and that he could not see any common motifs in them, but he later seemed to adopt the notion, with some equivocation. In 1966, he directed Persona, a film that he himself considered one of his most important works. While the highly experimental film won few awards, many consider it his masterpiece. Other notable films of the period include The Virgin Spring (Jungfrukällan, 1960), Hour of the Wolf (Vargtimmen, 1968), Shame (Skammen, 1968) and The Passion of Anna (En Passion, 1969). He and his cinematographer Sven Nykvist made oft-noted use of a crimson color scheme for Cries and Whispers (1972), which is among Bergman’s most acclaimed films. He also produced extensively for Swedish television at this time. Two works of note were Scenes from a Marriage (Scener ur ett äktenskap, 1973) and The Magic Flute (Trollflöjten, 1975). On 30th January 1976, while rehearsing August Strindberg’s The Dance of Death at the Royal Dramatic Theatre in Stockholm, Bergman was arrested by two plainclothes police officers and charged with income tax evasion. The impact of the event on Bergman was devastating. He suffered a breakdown as a result of the humiliation, and was hospitalized in a state of deep depression. The investigation was focused on an alleged 1970 transaction of 500,000 Swedish kronor (SEK) between Bergman’s Swedish company Cinematograf and its Swiss subsidiary, Persona, an entity that was mainly used for paying salaries to foreign actors. Bergman dissolved Persona in 1974 after having been notified by the Swedish Central Bank and subsequently reported the income. On 23rd March 1976, the special prosecutor Anders Nordenadler dropped the charges against Bergman, saying that the alleged crime had no legal basis, saying it would be like bringing “charges against a person who has stolen his own car, thinking it was someone else’s”. Director General Gösta Ekman, chief of the Swedish Internal Revenue Service, defended the failed investigation, saying that the investigation was dealing with important legal material and that Bergman was treated just like any other suspect. He expressed regret that Bergman had left the country, hoping that Bergman was a “stronger” person now when the investigation had shown that he had not done any wrong. Even though the charges were dropped, Bergman became disconsolate, fearing he would never again return to directing. Despite pleas by the Swedish prime minister Olof Palme, high public figures, and leaders of the film industry, he vowed never to work in Sweden again. He closed down his studio on the island of Fårö, suspended two announced film projects, and went into self-imposed exile in Germany. Harry Schein, director of the Swedish Film Institute, estimated the immediate damage as 10 million Swedish kronor and hundreds of jobs lost. Bergman then briefly considered the possibility of working in the US. His next film, The Serpent’s Egg (1977) was a German-U.S. production and his second English-language film (the first being 1971’s The Touch). This was followed by a British-Norwegian co-production, Autumn Sonata (Höstsonaten, 1978) starring Ingrid Bergman, and From the Life of the Marionettes (Aus dem Leben der Marionetten, 1980) which was a British-German co-production. He temporarily returned to Sweden in 1982, to direct Fanny and Alexander (Fanny och Alexander). Bergman stated that the film would be his last, and that afterwards he would focus on directing theatre. After that, he wrote several film scripts and directed a number of television specials. As with previous work for TV, some of these productions were later released in theatres. The last such work was Saraband (2003), a sequel to Scenes from a Marriage and directed by Bergman when he was 84 years old. 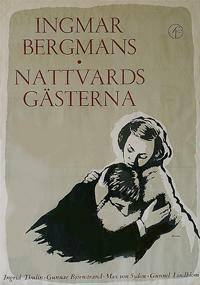 Although he continued to operate from Munich, by mid-1978 Bergman had overcome some of his bitterness toward the government of Sweden. In July of that year he visited Sweden, celebrating his 60th birthday on the island of Fårö, and partly resumed his work as a director at Royal Dramatic Theatre. To honor his return, the Swedish Film Institute launched a new Ingmar Bergman Prize to be awarded annually for excellence in filmmaking. Still, he remained in Munich until 1984. In one of the last major interviews with Bergman, conducted in 2005 on the island of Fårö, Bergman said that despite being active during the exile, he had effectively lost 8 years of his professional life. Bergman retired from filmmaking in December 2003. He had hip surgery in October 2006 and was making a difficult recovery. He died in his sleep at age 89. His body was found at his home on the island of Fårö, on 30th July 2007. (It was the same day another renowned film director, Michelangelo Antonioni, also died.) The interment was private, at the Fårö Church on 18th August 2007. A place in the Fårö churchyard was prepared for him under heavy secrecy. Although he was buried on the island of Fårö, his name and date of birth were inscribed under his wife’s name on a tomb at Roslagsbro churchyard, Norrtälje Municipality, several years before his death. Winter Light is one of Bergman’s movies that attracts me the most, https://www.youtube.com/watch?v=o3w0IQsN8XQ&t=683s although I also like his interpretation of Mozart’s Magic Flute. I first saw Winter Light at a free screening at a church near my college at Oxford in my first week as a freshman studying theology. That was, without doubt, one of the oddest experiences of my life. There I was, a completely green student, with no real sense of which end was up in my life, watching a movie about the futility of Christianity, the angst of a pastor, and the mixed emotions of his meager congregation, while I was supposedly embarking on a career as a pastor myself. Meanwhile, the showing of the movie was followed by a tediously pointless sermon (that went on forever), by the vicar – who was a sort of local celebrity – “explaining” how Bergman’s view of the church was all wrong. Yes folks, contrary to Bergman’s vision, the church was alive and well, actively welcoming young students into the fold. Ugh. I got more than my fair share of this vicar’s pontificating over the course of my first year, aided and abetted by a cascade of Anglican dons as tutors and lecturers who turned me completely against any kind of vocation in the ministry for over 20 years. I was much more on Bergman’s side for a long time. Ten years later, Magic Flute was a helpful antidote, although by then I was more than well on my way to being an anthropologist with an interest in religion from an academic standpoint, but not in any personal sense. 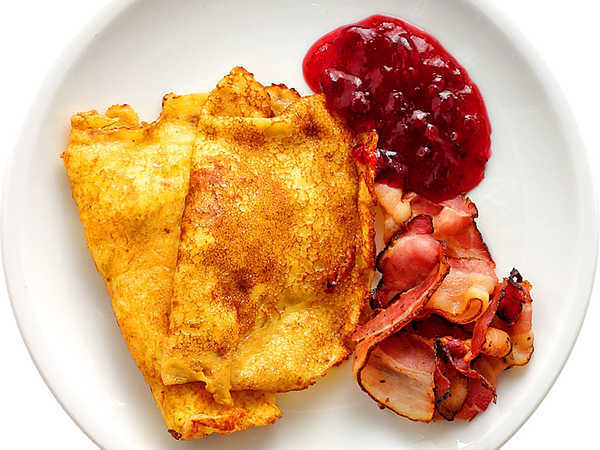 Here is a recipe for raggmunk, Swedish potato pancakes, traditionally served with salt pork and lingonberry jam. You can use thick-cut bacon instead of the salt pork if you like. This is common in Sweden. Mix the flour and milk to a smooth paste, then add the egg and beat well. Season with salt and let rest for a few minutes. Mix in the grated potatoes. Heat the butter over medium heat in a skillet until it sizzles but before it browns. Shape the pancake dough into patties and fry them on both sides until golden brown. Serve immediately with fried salt pork and a generous helping of lingonberry jam.